A good night’s rest can depend on the right mattress and the right pillow. Even if you’ve purchased the best mattress on the market, without the right pillow, you may as well be sleeping on your old bed. Luckily, Sleep Innovations offers several options for every type of sleeper. In fact, when it comes to Sleep Innovations’ large line of memory foam and contoured pillows, it can be daunting to figure out which one is right for you. To help you decide, we’ll be comparing several pillows from Sleep Innovations – and hopefully finding a few answers along the way. 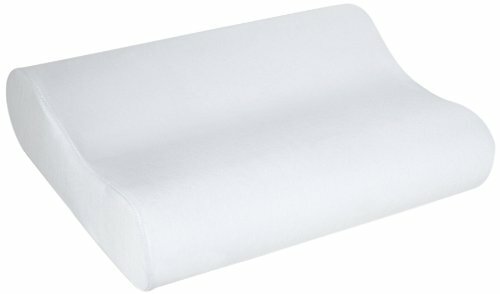 What’s the Best Sleep Innovations Pillow? There are three primary ways to sleep:on your back, side, or stomach. 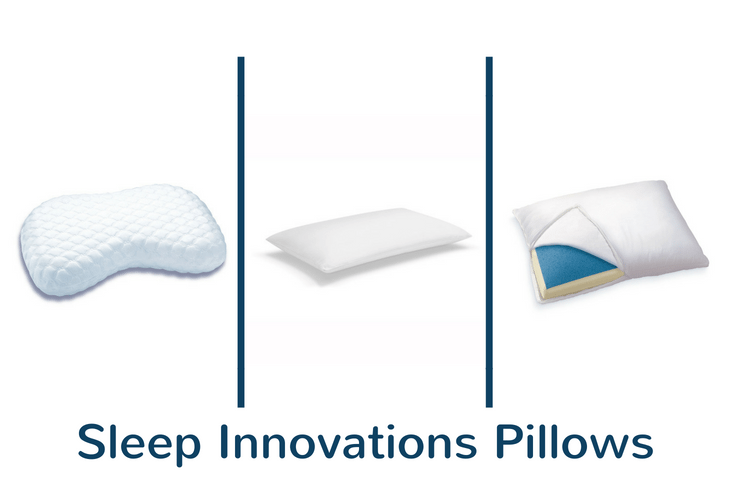 Sleep Innovations aims to please all three sleepers with their current lineup of contoured and memory foam pillows. The lineup also includes several options that heat up and adjust to your body in unique ways. Depending on which pillow you choose, you may find variations in the shape, pliability, and overall comfort level. Likewise, you’ll want to make sure that the pillow you choose is going to work best for the way you sleep. For example, stomach sleepers will probably dislike the firmer nature of the Sleep Innovations 2-in-1. Back sleepers, on the other hand, aren’t going to like the low profile of the Sleep Innovations Classic. We’ll be going into the specifics for each sleeper in the breakdown below, but the key is to compare each pillow and see which one’s best for the way you like to lay down at night. No matter which pillow you choose, Sleep Innovations guarantees that their pillow will last through a five-year limited warranty, so it’s hard to go wrong with this company. This first pillow is our Editor’s Choice pillow for several great reasons. Out of all of the pillows offered by the company, the Sleep Innovations Contour is probably the pillow that delivers the most support for the largest number of sleepers. The memory foam built into the pillow boasts a surprising amount of support given the small and relatively thin nature of the pillow. With the contour lining the horizontal axis of the pillow, back sleepers will have no issues getting strong neck support without an excessive vertical lift. Side sleepers can also use the bottom or top portion of the pillow to keep their head from slouching and shifting their spine out of alignment. The Sleep Innovations Contour also comes right in the middle of the price range of other Sleep Innovations pillows. This pillow aims to please all sleepers, so while it may not be the best pillow for everyone, it’s certainly a pillow that works for anyone. The Sleep Innovations Versacurve pillow certainly draws the most attention during first impressions. This pillow’s unique shape comes from the focus Sleep Innovations is placing on side sleepers. The notch on the bottom of the pillow allows sleepers to slot in their shoulder and enjoy total support of the neck and head. Tapered edges along each side also aid in support. Much like the Contour, the Versacurve is made entirely out of memory foam that can be a little on the firmer side. Back sleepers may similarly like the Versacurve for its unique shape, but stomach sleepers are once again not the primary focus. That density leads some to feel stuffy or warm in the middle of the night, but for anyone who loves a firm pillow, the trade-off is worth it. While you might have a hard time finding a pillowcase for this one, the Versacurve proves it’s worth by giving side sleepers the best rest they can find out of any pillow on this list. That’s why the Versacurve is our pick for Best High End. The Sleep Innovations Gel pillow might be marketed more towards children than adults, but stomach sleepers will probably find their perfect pillow in this small and soft package. 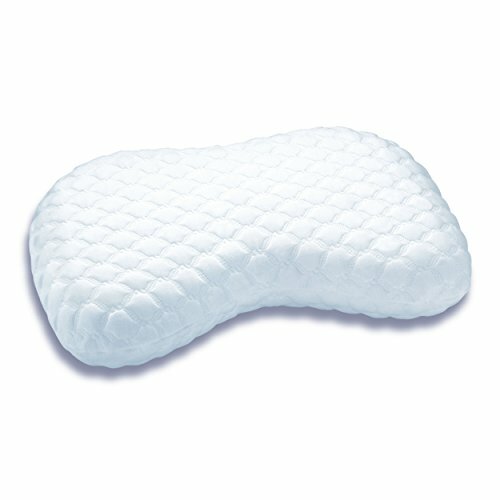 Unless the previous two memory foam pillows, the Sleep Innovations Gel pillow uses a different type of memory foam. The thick, dense memory foam is replaced with a gel-based alternative that sleeps cooler and softer. 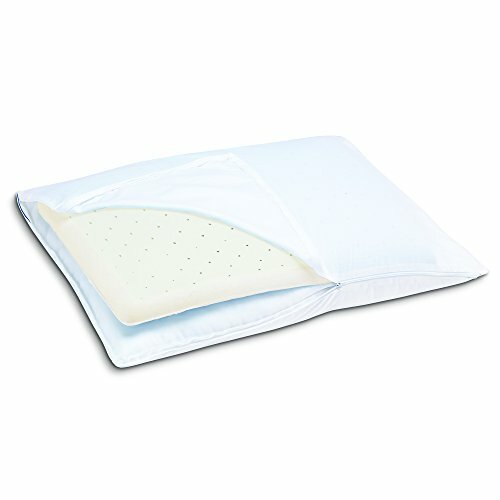 The smaller size of the Gel pillow also allows smaller adults and children to get more use out of their pillows and feel less congested in the foam. Even though memory foam tends to sleep hot, the Sleep Innovations Gel is only beaten by the 2-in-1 for temperature control. Look at this article, Side sleepers and certain back sleepers might want to avoid this option, as the soft and small nature of the pillow probably won’t give you the support you’re looking for. However, if you’re desperately trying to sleep comfortably on your back or hate firmer pillows, the Sleep Innovations Gel should be right up your alley. Much like the Sleep Innovations Contour, the Classic pillow is aiming to please any type of sleeper with a no-frills option. Unlike the Contour, this pillow focuses on memory foam in a shape that’s indiscernible from any other pillow. This traditional shape is best for those who aren’t fans of the Contour or the Versacurve and want a pillow that can easily replace their existing one. The memory foam in the Classic is neither too firm nor too soft, and the traditional size makes it a better option for those who dislike the smaller Gel. That being said, there are similar issues that the Contour runs into when it comes to specialization. The Classic is very much a master of none by design. Without the unique features of the Contour, this pillow aims for a straight-down-the-middle approach. 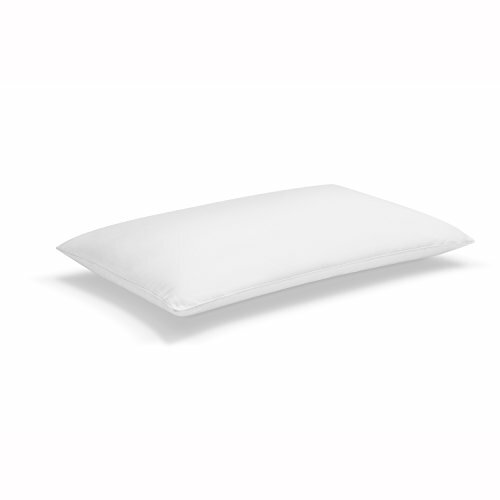 The Classic is perfect for anyone who’s either just trying out a memory foam pillow or sleeps in all sorts of positions during the night. For that reason, the Classic and the 2-in-1 both share the title of Best Value. Much like the Sleep Innovations Gel, the 2-in-1 ditches the uniform design of the other pillows on our list and tries out a design with a little more give. While half of the pillow is made from the same dense memory foam as other Sleep Innovations products, the other side is made up of an airy, perforated foam with more give and a cooler feel. In the middle of the night, if you want to adjust for more comfort or find yourself overheating, you can simply flip the pillow over to the perforated side. If you’re too cool or need more firmness, flip back to the firmer, denser side. It’s a novel but brilliant idea that sets this pillow apart from its competition. Coming in as the cheapest pillow in our list, it’s certainly an easy sell for stomach and side sleepers. 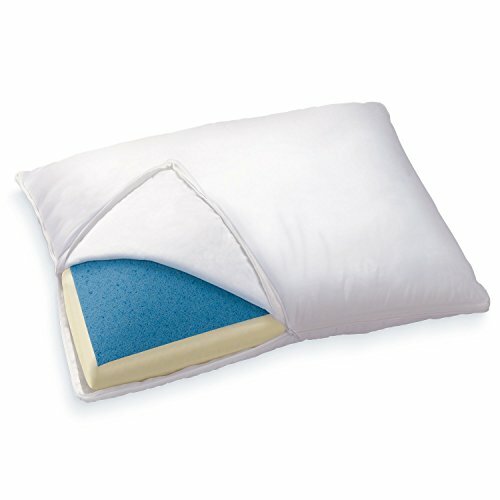 For anyone that needs more firmness, however, the 2-in-1 might not provide for the best night’s sleep. The rock-bottom price also reduces the quality somewhat, but doesn’t ultimately ruin the Best Value you can find in this pillow. It’s difficult to pick a single victor out of a group of pillows designed for all types of people. For back sleepers, the Contour or the Versacurve are probably your best bet. For stomach sleepers, it’s hard to go wrong with the Gel. For side sleepers, the Versacurve and 2-in-1 work best. For anyone who isn’t sure, the Classic and the 2-in-1 are excellent choices. Sleep Innovations pillows are made from memory foam that isn’t afraid to give enough support to last through the entire night. 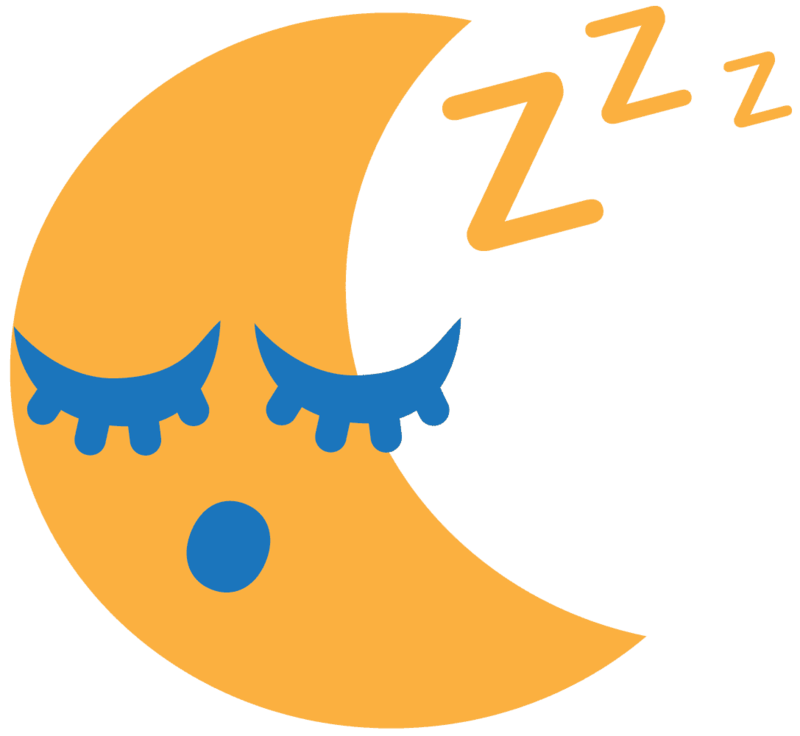 No matter which pillow you go with, Sleep Innovations is a proven company that will get you a quality product. Think about your preferred sleeping position, choose the best pillow for you, and try out a Sleep Innovations pillow. Chances are, your body and back will thank you for the much-needed change.